A scene of three Gerbera against a dark nightly background. 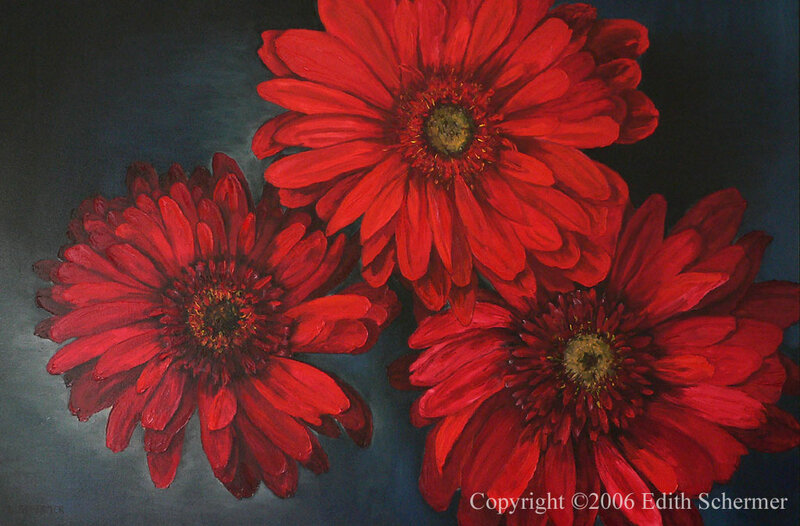 The flaming colours make the flowers explode off the canvas, especially at night when the lights are turned on. Graphic design and implementation by Hugo van Duin, All images and text © 2013 Edith & Hugo van Duin, cookie information.